Farmer plants six Adventist churches — and gives credit to city residents who carried Bibles on Sabbath. Alejandro Gonzales Qquerar entered the first grade at the age of 18. Some people might think that he started school late, but all 18 year olds in his village, Ccacaccollo, began first grade in the 1980s. That’s how it was in Peru at a time when villagers thought it was more important for their children to work on the farm than to get an education. A classmate brought a radio to school, and Alejandro listened attentively to a religious program about the world’s last days. He was scared, and he wanted to know more. His wish was fulfilled a short time later when the evangelical producers of the radio program organized nightly meetings in the school’s gymnasium. He listened to the preacher speak about the final events in Earth’s history and Jesus’ soon coming, and his heart filled with joy. Other villagers also enjoyed the meetings, and the program organizers opened a church for them. Alejandro and his friends attended the Sunday worship services when they could get away from farm work. The four church leaders saw the great spiritual interest of the villagers and resolved to present each with a Bible. So, they made the 60-minute bus trip to the nearest city, Cusco. They scoured the city for Bibles but without success. Despairing, the four leaders were walking down one of Cusco’s cobblestoned streets one morning when the noticed a steady stream of people, each carrying a Bible, entering a building. Thinking that the building might be a bookstore with a large supply of Bibles, the leaders followed them in. It was a Seventh-day Adventist church, and the people were going to Sabbath School. The men decided on the spot to become Adventists. They asked the pastor to send someone to the village to help them explain the full Bible truth to the villagers. Two church members accompanied the men back to the village and preached in their church on Sunday. Alejandro missed the worship service because he was working on the farm. But his friends later told him not to bother going to church the next Sunday. The church had become Seventh-day Adventist and its next worship services would be on Saturday. Alejandro went on Saturday to find out what had happened. He was convicted with the new truths that he heard, including about God’s instruction in the Garden of Eden and the Fourth Commandment to keep the seventh-day Sabbath. He became an Adventist. Alejandro, who was now 19, dropped out of school that same year to work full-time on the farm. He also began to tell anyone who would listen that Jesus is coming soon. His love for Jesus as brought extraordinary results. Alejandro, a simple man of short stature and limited education, has planted six churches over the past 30 years. He planted the first church in 1985, shortly after his baptism, and has planted a new church every three to five years. Sometimes he walks five hours to reach one of his church plants. More than 800 people have been baptized through his influence. 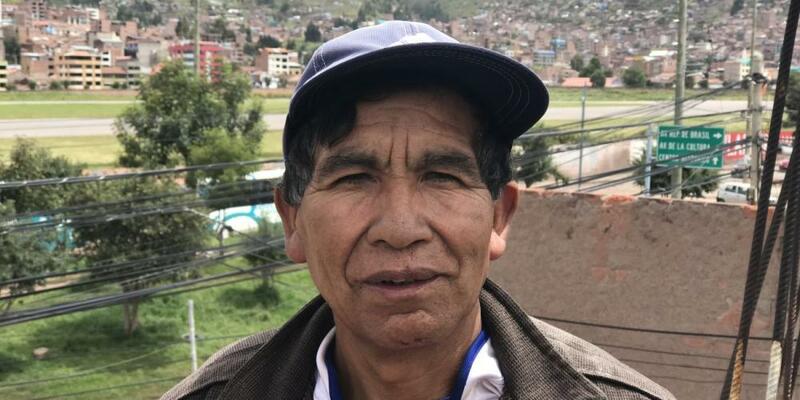 Alejandro, now 52, praised God for the results but said real credit belonged to the faithful Adventists who carried their Bibles to church in Cusco one Sabbath morning. Part of the second quarter 2019 Thirteenth Sabbath Offering will help open a Cusco community center that will offering English classes, music lessons, and other activities to children and young people. The goal of the community center is to plant a new church in the area. Thank you for your mission offerings. ​What Hezekiah Taught Me About Christian Modesty “Be modest in your appearance, and don’t show off your treasures,” I told my two daughters.